Would you consider the audio edition of Hopeful to be better than the print version? Yes, Omid's character and wonderful delivery only add to the written text. Undergraduate Omid was my favourite character because he was young and naive, and totally fearless of the ludicrous situations that he got himself into. 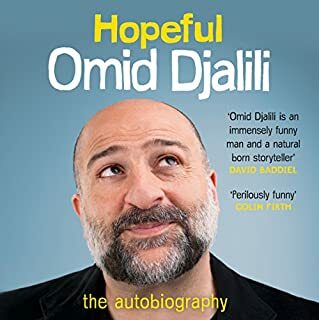 What does Omid Djalili bring to the story that you wouldn’t experience if you had only read the book? There were too many moments that moved me to list them all, but what has remained with me having long finished reading the book is his account of his family's Baha'i faith and the related cost for them. As the Crow Flies in amongst the top 5% of my listens to date. One not only has an empathy with the writer, but also in this instance regard for the unexpected elements that make his works unique and demand that you hear them to their completion. What other book might you compare As the Crow Flies to, and why? John Lee is my favourite performer. Simply unsurpassed. Yes, but it was not possible. What did you like most about Be Careful What You Wish For? 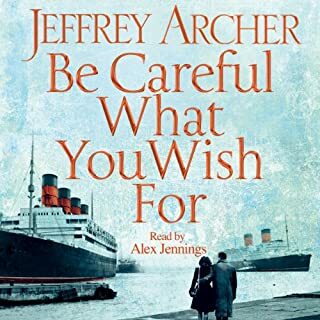 As always with Mr Archer, his storytelling is fresh and gripping and the characters are all interesting - likable or suitably detestable. What other book might you compare Be Careful What You Wish For to, and why? It is similar to the Fourth Estate in that it chronicles competing fortunes in lives and families over many years. Which character – as performed by Alex Jennings – was your favourite? Yes, when it was determined that Bruno had died and not Sebastian. I had a negative reaction to Sebastian's parents' reaction regarding the loss of Bruno. 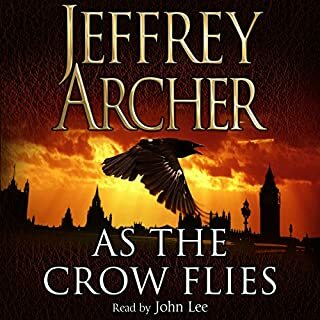 The series should have been a trilogy but in lieu seems only to have become an easy source of money for Mr. Archer whose fans will see it through to the bitter end.